Money Basics: What is a Credit Report? Home | Money Basics: What is a Credit Report? 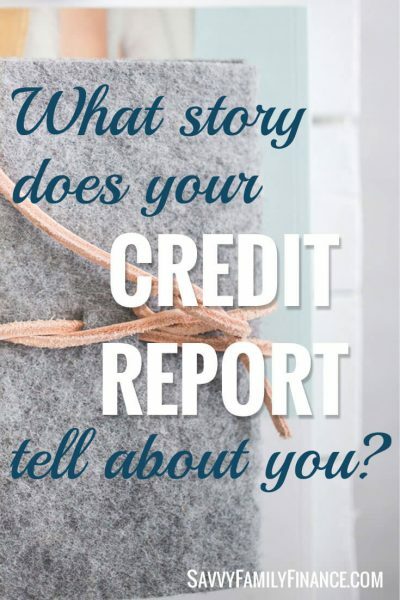 Inside: Find out what a credit report is and what it says about you. Are you one of the millions of people that has been offered free credit monitoring due to breaches in security at a retailer or bank or government institution? Unfortunately, I have been on the receiving end of those offers on a few occasions. One of the things credit monitoring does is watch for changes in your credit report. But what is a credit report and what exactly is in it? What is in the credit report? How you can get a copy? Are you asking yourself, what is a credit report? A credit report contains your credit history. This history is what lenders who have given you credit report to the credit report agency. Huh? Ok, let’s say you have an account at Bank of XYZ. Bank XYZ will report that you have an account with them. They will also report if you have had an overdraft, the credit limit on the credit card you use from them, and how much of that limit you use. The information on the credit report is used to generate your credit scores. One analogy that might help is to think of a credit report like report card and your credit score like your overall GPA. Another may be to think of a credit report as a collection of user reviews and your credit score is your overall star rating. Make sense? There are three major credit reporting agencies in the US: Equifax, Experian and TransUnion. Each agency collects information about your personal details and bill-paying habits to create their version of the report. Between the three reports, there are often small differences. Lenders don’t necessarily report information to all three agencies. They may report to only one or two, which leads to the reports being somewhat varied between agencies. You can count on your account information staying on your credit report for seven years. That may seem like a long time. However, bankruptcy can stay on the credit report for 10 years. You might be surprised at how many people can see your credit report. Who can see your credit report? If you apply for credit such as for a loan or credit card, the creditor is allowed to access your credit report. When you apply for insurance, the insurer can access the report. And if you are looking to rent property, the landlord can legally access your credit report. Not only that, but employers could ask for a copy of your credit report. Once you give written permission, they also can see your credit report. Now that you know the answer to “what is a credit report?’, you will want to see yours. And, of course, with all of those people we just mentioned able to see your credit report, it means you should be able to see it too, right? Thanks to the Fair Credit Reporting Act, each of the three bureaus (TransUnion, Experian, and Equifax) are required to grant consumers a free credit report once per year. You can also get a free copy of your credit report if you’ve had an adverse action because of what is contained in the credit report. Adverse actions includes denial of credit, denial of insurance, job denial and a few other scenarios. BUT, you have to request the report within 60 days of that denial, so don’t delay. You can get a copy by visiting AnnualCreditReport.com. There, you will be asked to provide your name, address, Social Security number, and date of birth. You may need to also include your previous address if you’ve moved in the last two years. For security, you may be asked questions that only you would know, such as what is your monthly mortgage payment. Again, each of the agencies is required to allow a free copy once every 12 months. You can stagger the requests so that every 4 months you request a copy from a different reporting agency. I’m off to get a copy now as it’s been awhile since the last time I looked. Have you ever requested a copy of your credit report? Were there any surprises?